This is surely the easiest part of buying a Mac: picking the mouse to go with it. Except there are also trackpads —and you won't believe the number of choices you've got. AppleInsider talks about what we've used and like, and how to narrow down your options to find the right mouse or trackpad for you. Apple is missing a trick here. When you order a new Mac mini from Apple's online store, the firm offers you upgrades to storage and processor plus it tries to tempt you with software like Final Cut Pro X. Yet it doesn't offer you a mouse or trackpad even though Apple sells them —and even though it will offer these when you're buying a Mac Pro. If it did include Apple's own devices in the list of possible Build to Order options it would be fine. If you separately choose to add them to your Shopping Basket, you won't regret it. You still have to choose between the mouse and the trackpad but both are good choices that you will be happy with. It's just that they are not the only options. Not by a very, very long way. And there has been at least since Apple's original iMac mouse came out and drove people to look for alternatives that were less uncomfortable. 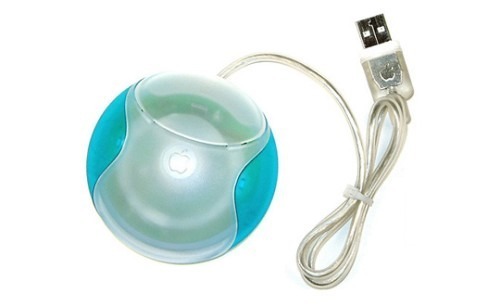 That old hockey puck mouse doesn't look great but you had to use it to realize just how dreadful a mouse can be. Comfort and functionality are the keys to a good experience. You might not imagine that there's a lot of functionality you can have in a mouse, but some are so feature-packed as to be ludicrous. And yet whatever you end up choosing to buy, the steps you take and the issues you need to work through are the same. Here's what you need to think about plus recommendations in every type of Mac pointing device. You could always buy both and we're not saying to dodge the decision. Plenty of people have plenty of reasons to have both a mouse and a trackpad on their Mac mini. Broadly speaking, a trackpad is great for most uses. It's just the same as on a laptop, it's quick and easy, it's comfortable. Plus as well as moving your cursor around the screen, trackpads can have gestures. Swipe four fingers upwards to get macOS's Expose feature, for instance. A mouse, on the other hand, is far more precise. So a photographer, for example, might have a trackpad for moving quickly through hundreds of images but then a mouse for making precise Photoshop adjustments. Maybe we used to be split between those of us who preferred a mouse to a trackpad and vice versa, but then we found BetterTouchTool and became a little obsessed with it. It's software that gives your trackpad a just about infinite number of possible gestures. So as well as Apple's Expose trick, we can launch apps, change the Mac's brightness, switch between Desktops or put the computer to sleep with the right tap. That's tipped the balance for us. So much so that unless you have a specific need for a mouse, we're going to say that you'll find a trackpad to be better use and better value. 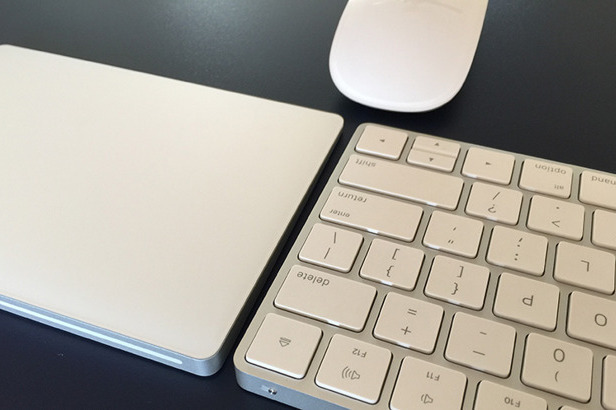 What's more, we're going to say buy Apple's Magic Trackpad 2. It's not cheap, it's around $125 on Amazon, but it is the best there is. You could look at the VicTsing Ultra-Slim Touchpad Keyboard which is a combination keyboard and built-in trackpad. It's perhaps convenient to have a single unit that does but you'd have to really want that convenience because this just is not our favorite keyboard. Curiously, Logitech has sold at least a couple of keyboards that have trackpads but many are discontinued. The only remaining ones on Logitech's own website are positioned as being solely for PC-connected TV sets. If you like the idea of a trackpad coupled to your keyboard and you buy the Apple Magic Trackpad 2, take a look at TwelveSouth's MagicBridge which costs around $35. This is a kind of low tray that holds that trackpad together with Apple's Magic Keyboard. Crack your knuckles and prepare for a far more involved search for the right mouse for you and your new Mac mini. There must be a hundred different Mac-specific mice available and since they connect to your machine via USB, you've also got the choice of most PC mice too. It's true that you can plug a PC mouse into a Mac and it's also true that the sheer volume of options this gives you is a cacophony. Yet as far as the manufacturers are concerned, we're a happy coincidence, a lucky extra market that they get through no effort. That means many or even most therefore don't put any effort in to the Mac at all so you end up with a mouse that comes with features and buttons that do absolutely nothing unless you're on a PC. So before you buy a mouse, check that it is called Mac compatible and exactly what that means: Amazon and manufacturer listings should say if there are limitations. Make that your last check, though, your last consideration. Before then you need to look at what you're actually going to use the mouse for. Some mice are better made than others but they're all the same when it comes to how precisely you can move your cursor around on the screen. So that's not the issue: the issue is what you're pointing that cursor at and how long you intend to do it. If you're really more of a keyboard user —you're a writer in Word, you're an accountant in Excel —then any mouse will do. If you're going to be spending your entire day making selections and adjustments to images or video, though, you need to think slightly less about the mouse and quite a bit more about your hand. You need to find a mouse you can use comfortably and perhaps intensely for very many hours at a time. You will go through few different possibilities before you find the right one for you. 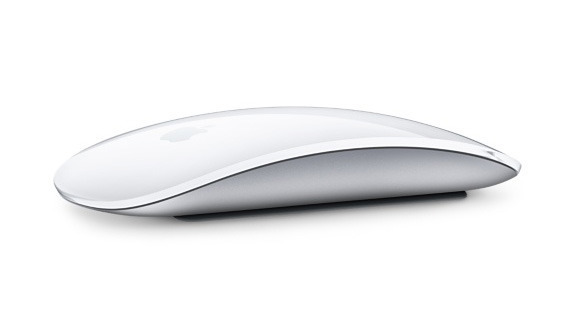 Apple's Magic Mouse 2 is low-slung, sleek and has no tiny buttons to reach for. It has no buttons at all and is really as much of a trackpad in mice form as it is a mouse. Unless you find it too low on your hand, unless you find that you're scrunching up your grip to swipe trackpad-like gestures on it, Apple's mouse is a good choice. The sole criticism you'll hear about it is that, being wireless, you have to recharge it and the Lightning port is on the bottom of the mouse. Apple has been ridiculed for putting it there and yet in real-life use, it's a shrug. Sure, you can't use your mouse while it's charging so in theory you could be on an important deadline when you run out of battery power. Either pay more attention to the Low Battery warnings your Mac mini gives you or just take a two-minute comfort break. By the time you've done your hand exercises, the mouse will have had enough power to let you get on with the job. Then when you've hit your deadline, leave it charging overnight and forget about it for another few weeks. We like the precision and the low-slung feel of Apple's mouse. We like the idea of the trackpad-style features more than we actually use them. And, we admit it, we think this is the best-looking mouse there is. It just might not be the most ergonomic. 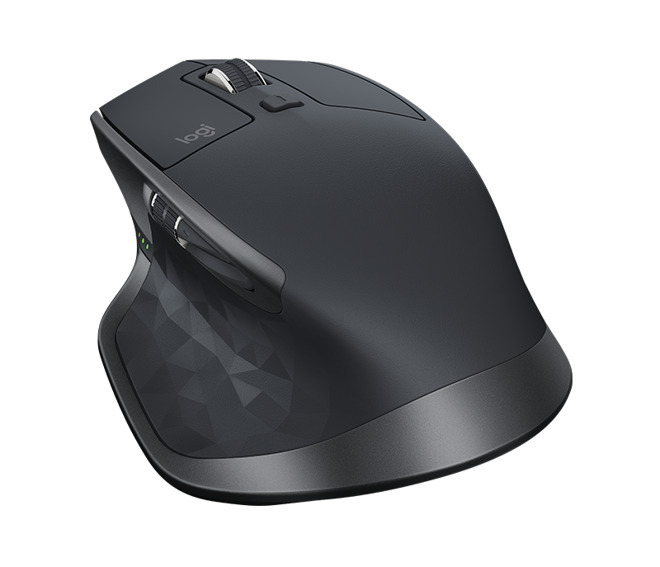 If you already have issues with your hands or you know you will be using a mouse so much that you're at risk of RSI, look to the Logitech MX Ergo Wireless. It looks like a baseball mitt but it's small enough to sit comfortably under your hand. It's also one where you won't have to move that hand very much: it has a trackball so that you can control your cursor with a flick of your thumb. 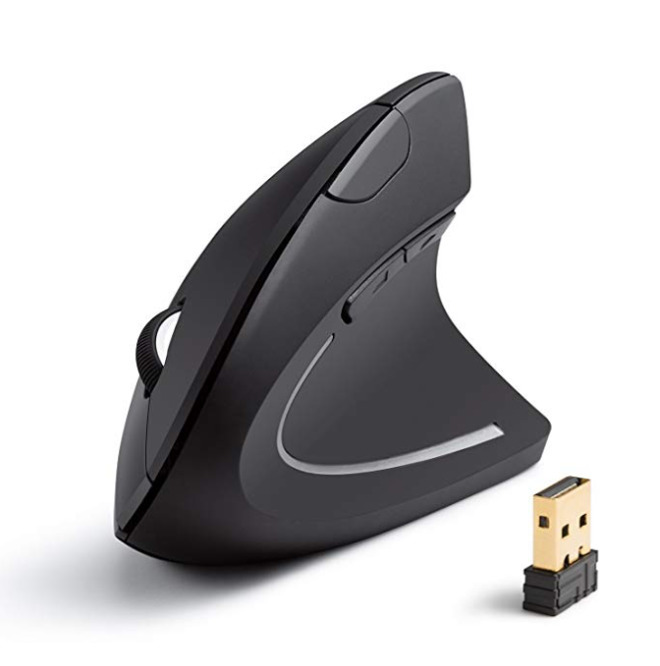 This is still really a traditional mouse in how it rests under your hands and maybe that's not the right position for you. Take a look at Anker's vertical mouse instead. It's a startlingly different look for a mouse but we do know users who find a vertical one to be much better on their hands. Note that Anker's vertical mouse has media control buttons that do not work on Mac. Just as with keyboards, easily the most demanding users are gamers. They need speed, precision and caffeine. The Razer Naga Trinity mouse is so replete with functions that we wouldn't be surprised if it handled coffee too. You can use this as a regular mouse but the more you get into games, the more you may want to take advantage of its extra options. You can swap out the normal two-button mouse control and instead slot in a 12-button version. So while you move and point the cursor just as you would with any mouse, right under your thumb there can be up to a dozen more controls. If they just added a few more, you wouldn't need a keyboard. This is going to be a bit like a bad murder mystery story where the killer is a character who isn't introduced until the end. For while we've talked about ergonomics and gamers as well as regular mouse users, there is one mouse that sneaks in under the radar because it's good for just about everyone. 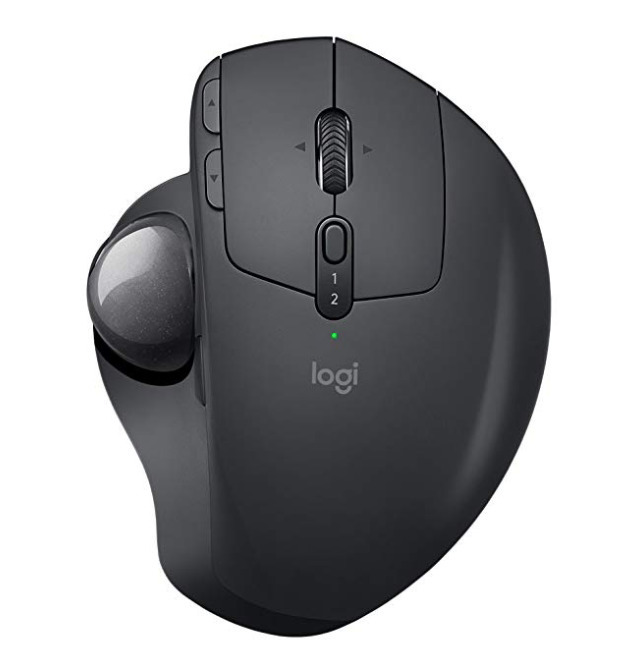 We still think that Apple Magic Mouse 2 is a fine choice but if you don't like it or you need a slightly cheaper option, there is the $99 Logitech MX Master 2S. It's just a solid mouse. It isn't flashy, not over-loaded with features, yet well made and a good option for anyone. For all that we can tell you what's possible in mice and trackpads, for all that we can caution you what to look out for, it's still a deeply personal choice. So alongside thinking about your ergonomics, thinking about what you'll use the mouse for and seeing if it's Mac-compatible, we have one last thing for you to check —the returns policy.